Every year, the world’s most fearless wranglers gather to compete in the Mustang Million. Their task: in only four months, tame and transform a wild mustang into a show horse, with a cash prize of $1 million to the lucky winners. Mustang Millionaire is an all-new show on Nat Geo WILD and follows five trainers as they risk their livelihoods to compete in the cutthroat event and concludes in a choreography competition where their horses must complete daring stunts. The previous competition took place in Fort Worth and came to a fantastic end with Tom Hagwood of Torrington, Wyoming and his Mustang gelding Merv, were given a check and a 2014 Ram Truck from Dodge City of McKinney for their efforts. Pictured above is Legends Champion, Mr. Hagwood being handed the keys to his new ride by Dodge City of McKinney’s own and co-host of The ANE Show, Jeff “Bubba” Thompson. Tom Hagwood will be featured on the final episode of Nat Geo’s Mustang Millionaire which airs every Saturday at 9 pm. Paul's Interview with Ben Stiller "The Secret Life of Walter Mitty"
Paul, the coolest guy in Dallas, has some great guests in his interview segment. This week is Ben Stiller talking about the new movie "The Secret Life of Walter Mitty"
There are now six finalists for the coveted North American Car and Truck/Utility of the Year awards. Three in each category. “Car of the Year”, sounds like a pretty definitive phrase, but let’s be honest; there’s about 456,588 Car of the Year awards each year. There’s the Motor Trend Car of the Year, Popular Mechanics Car of the Year, So What Magazine Car of the Year, Good Housekeeping Car of the Year, etc. Ok, maybe not that many and some of those are made up, but there are a lot. However the North American Car and the North American Truck of the Year Awards are kind of a big deal. 48 automotive journalists weigh in on the all-new or significantly refreshed vehicles each year and choose one car and one truck or utility vehicle to be recognized. The winners each year are announced in January of each year to kick off the Detroit Auto Show. 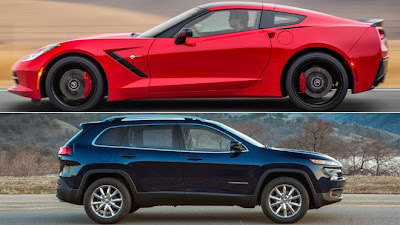 The three cars up for consideration are the Chevrolet Corvette Stingray, Cadillac CTS, and the Mazda3, all of which have garnished a lot of praise since being released earlier in the year. The Truck/Utility category which encompasses trucks and crossover vehicles have three finalists also, the Chevrolet Silverado, Acura MDX, and the Jeep Cherokee. 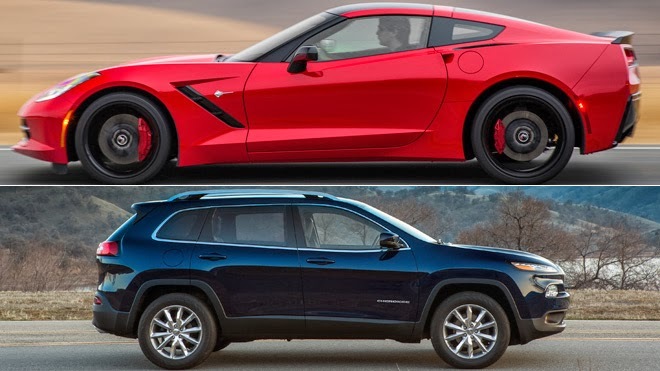 Early predictions have the Corvette and Jeep Cherokee coming out as the winners in January, but we want to know what you think. Who will win? Leave your comments on The ANE Show’s Facebook Page at http://www.facebook.com/theaneshow and be sure to listen every Saturday at 9 a.m. on KFXR 1190AM or on iHeart Radio! The ANE Show which airs at 9 AM on Saturday mornings on 1190 AM discusses important topics as teenage driving, safest vehicles, how to buy cars, and best makes and models for the consumer. However, this weekend during the radio show, Kevin and Tiffany Brooks will join The ANE Show during the live celebrity interview segment of the show. They will inform listeners about a cause that is very close to them. Kevin Brooks is a former professional football defensive end in the National Football League (NFL). He was selected by the Dallas Cowboys in the 1st round (17th overall) of the 1985 NFL Draft later playing for the Detroit Lions. Brooks attended Detroit's Mackenzie High School where he played as a defensive lineman, before graduating in 1981. He accepted a scholarship to the University of Michigan, where as a freshman he was tried at outside linebacker. As a sophomore he was moved to defensive tackle and started 7 games. He received All-Big Ten honors as a junior and senior. In 1984 at 6'6", 273 lbs., he led the team with 6 sacks and 13 tackles for loss, while cementing his place as one of the biggest and best defensive linemen in school history. In the 1985 NFL Draft the Dallas Cowboys where targeting Jerry Rice with their first round selection, but drafted Brooks after Rice was taken by the San Francisco 49ers. In 1987 he was named the starter at left defensive tackle and led the team's defensive linemen with 67 tackles, while adding 3 sacks. In 1988 he registered 71 tackles and five sacks. In 1989 he clashed with new head coach Jimmy Johnson, before being traded along with a fourth round draft choice to the Denver Broncos, in exchange for a third round draft choice. On September 11, 1989, he signed with the Detroit Lions and was named the starting right defensive end. He was waived on November 2, 1990, and retired after playing in the NFL six seasons from 1985-1990. Tiffany Brooks is a bulldog advocating for retired NFL players and bringing awareness to Traumatic Brain Injuries. 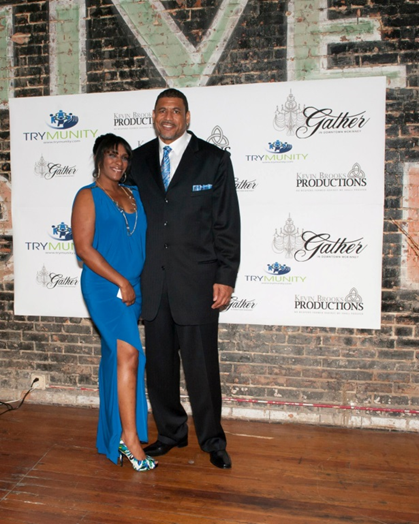 She and Her husband Kevin Brooks founded Kevin Brooks Productions in an effort reach player and everyday sufferers of TBI on a broader level. The Brooks’, both Kevin and his wife Tiffany, seem to be trailblazers in the fight against Traumatic Brain Injuries. They sit on the Board of Trymunity, a non for profit organization that offers support to Brain Injury Survivors and their families. 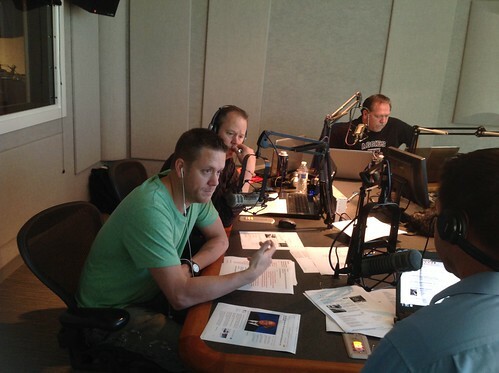 They have appeared on different television and radio shows speaking about Brain Injuries and life after football. Their company Kevin Brooks Productions has assisted many retired players that are living day to day with the unfortunate side effects of TBI’s. 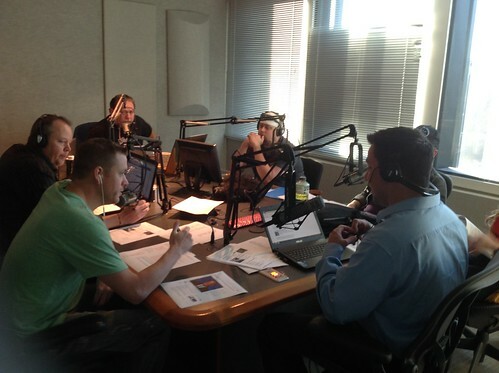 The ANE Show airs every Saturday at 9 AM on KFXR 1190AM. It is a one hour radio talk show with four segments which include automotive, news, celebrity updates, and great information. Listeners are encouraged to participate by asking questions on Twitter @TheANEShow, or Facebook at https://www.facebook.com/TheANEShow. All questions will be answered, and the question is read on air then the listener will be entered into a drawing for Dallas Stars or Dallas Mavericks tickets. 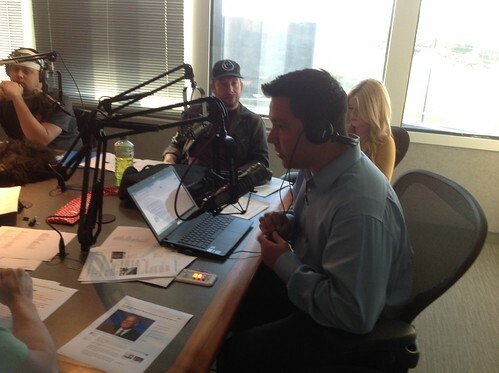 For more information about the most talked about radio show in Dallas visit http://www.theANEShow.com. John "Shu" Shumaker normally behind the scenes was a special guest on the show, a photo by theaneshow on Flickr. Jennifer Reed filled in for "The Coolest Guy in Dallas" Paul Salfen and had to sit next to Joel "The Gorilla"
Jennifer Reed filled in for "The Coolest Guy in Dallas" Paul Salfen and had to sit next to Joel "The Gorilla", a photo by theaneshow on Flickr. Josh "The Guru" Deaton and his mini-me are always photogenic and ready to entertain the world, a photo by theaneshow on Flickr. Jim "Doc" Proctor front and center ready to get the show on the road! Jim "Doc" Proctor front and center ready to get the show on the road!, a photo by theaneshow on Flickr. 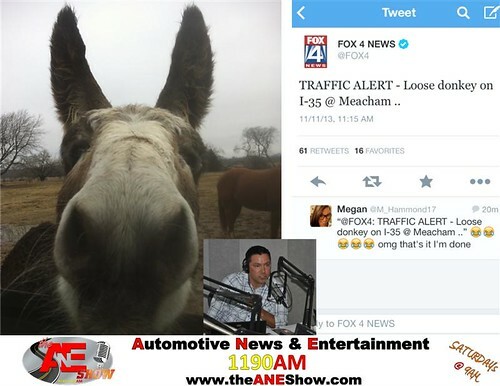 The ANE Show listeners were worried the other day when a news report said that a donkey was on the loose in the Dallas Fort Worth area. The ANE Show listeners were worried the other day when a news report said that a donkey was on the loose in the Dallas Fort Worth area., a photo by theaneshow on Flickr. The ANE Show listeners were worried the other day when a news report said that a donkey was on the loose in the Dallas Fort Worth area. 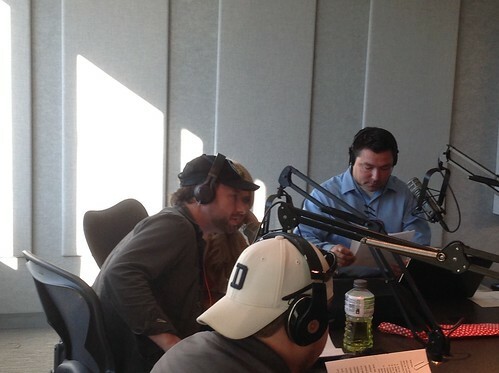 However, after speaking with The ANE Show's co-Host, Jeff "Bubba" Thompson, the donkey in question was not Jackson. Jackson is Bubba's pet donkey. Bubba was worried for a minute, but once he found out Jackson was safe and sound Bubba went back to calmly preparing for Saturday's radio show which can be heard on 1190 AM at 9 AM. Stay tune for late breaking news!!! Paul Salfen co-host of the Drew Pearson Show and The ANE Show sits one on one with former Saturday Night Live Star Will Forte. The two discuss Forte's upcoming film, Nebraska directed and written by Alexander Payne (About Schmidt, Sideways). In "Nebraska," Will Forte, as David Grant, conveys the exhaustion of lower-middle-class life in the heartland. Watch Will Forte discuss the upcoming film as well as his "Hail Mary" moment in life. 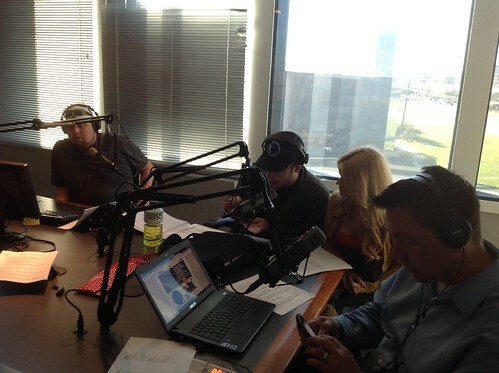 The ANE Show is your number one source for Automotive News and Entertainment and airs weekly in Dallas on 1190AM KFXR. Remember, you don't have to call into The ANE Show to find out what you need to know. Every week- The ANE Gang will answer the questions you ask via Facebook & Twitter. If you question is answered on air! Remember, you don't have to call into The ANE Show to find out what you need to know. Every week- The ANE Gang will answer the questions you ask via Facebook & Twitter. If you question is answered on air!, a photo by theaneshow on Flickr. Remember, you don't have to call into The ANE Show to find out what you need to know. Every week- The ANE Gang will answer the questions you ask via Facebook & Twitter. If you question is answered on air then your name will automatically go into a drawing for Dallas Mavericks or Dallas Stars Tickets! Let's see if you can stump The ANE Show Team! Doc arrives to Vegas in Style! 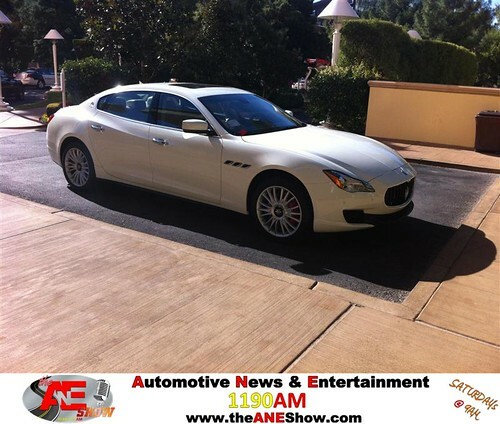 Check this 2014 Maserati q4! Doc arrives to Vegas in Style! Check this 2014 Maserati q4!, a photo by theaneshow on Flickr. The Spin Doctor gets out of Dallas for a couple of days in preparation for The ANE Show! The Spin Doctor gets out of Dallas for a couple of days in preparation for The ANE Show!, a photo by theaneshow on Flickr. The "Guru", Josh Deaton of DeliveryMaxx is keeping this rock from falling on "The Spin Doctor", James Schaefer while he is deep in thought. They currently are in Yuma, Arizona but will be back in time for The ANE Show on Saturday morning. The "Guru", Josh Deaton of DeliveryMaxx is keeping this rock from falling on "The Spin Doctor", James Schaefer while he is deep in thought. They currently are in Yuma, Arizona but will be back in time for The ANE Show on Saturday morning., a photo by theaneshow on Flickr. The experts at the widely popular automotive enthusiast’s publication, Motor Trend, announced today the results of the 2014 Car of the Year award. 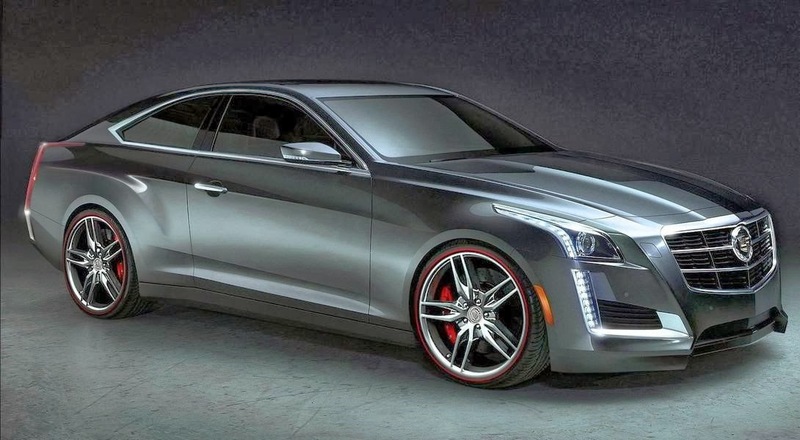 And it is good news for the all-new 2014 Cadillac CTS. 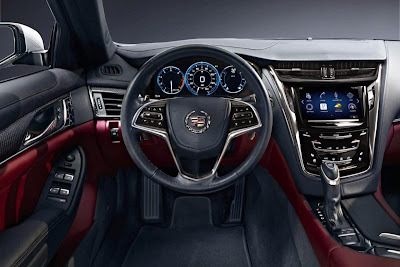 The CTS last won the coveted title in 2008, and Cadillac set their sights on nothing short of taking home the title again when designing the 2014 Cadillac CTS. And did they ever achieve that goal? Experts at Motor Trend had nothing but positive things to say about the luxury sedan, and the CTS went head to head against competing companies such as BMW, Mercedes-Benz and Infiniti, and came out the clear winner. This year is the first year all three competing luxury makes have all had vehicles up for Car of the Year consideration, and alas, there can be only one winner and it’s made in America. Since inception, the CTS has been synonymous with design. The car was polarizing from the start, imitating no one and rarely even imitating itself. The advancements have been so great in fact, many wonder how much longer the Cadillac Art and Science design team can keep it going, but they’ve been wondering that since 2008. Each generation of CTS is as awe-inspiring as the first. “The CTS’ intended function was to take the fight to BMW, Mercedes-Benz, and Audi – and win. It had to beat them on style, on performance, on comfort, and on quality. And it has.” – Motor Trend. The CTS demonstrated superior advancement in design, performance, handling, and experience. The ride and handling compromise was unmatched, as were cabin noise and isolation. The only downside to the CTS was the room in the rear seat. Yesterday, Toyota unveiled the 2014 FJ Cruiser Trail Teams Ultimate Edition at a press conference held at the 2013 Specialty Equipment Market Association (SEMA) Show. And the Ultimate Edition of the FJ Cruiser is also the commemorative final special edition FJ Cruiser. There will only be 2,500 of the Trail Teams Ultimate Edition of the FJ Cruisers made, so those wanting one should act quickly. And 2014 is the last model year for any FJ Cruisers being built. 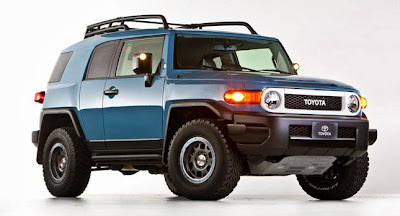 Toyota first launched the FJ Cruiser in 2006 as a 2007 model year and aside from minor year-over-year changes, it has never been substantially updated. The FJ is the successor to the original FJ40 Land Cruiser that ran from the 1960s through 1984. The Trail Teams Ultimate Edition is scheduled to roll into dealerships in February 2014. The special model has a Heritage Blue exterior with a white grille and 16-inch bead lock wheels with BF Goodrich A/T KO tires. The special edition is also equipped with a TRD front skid plate, roof rack and a TRD off-road suspension. Interior changes are limited but includes a leather-wrapped steering wheel and a special information display. 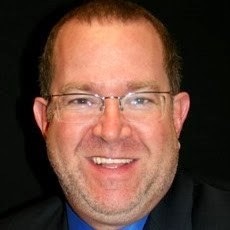 Jim “Doc” Proctor will be in Las Vegas for Saturday’s radio show, but he has asked his good friend, David Hooks who is known as “The Dr. of Credit” to sit in for him. Hooks has spent the greater part of the last 30 years in the automobile industry with the only break being 8 years in the mortgage and financial field. Currently, he has been with D&M Leasing for the last 3 years which is the largest privately owned consumer leasing company in the country. Hooks brings a vast array of automotive experience to this week’s radio show and will share his expertise on the financial end of the industry. 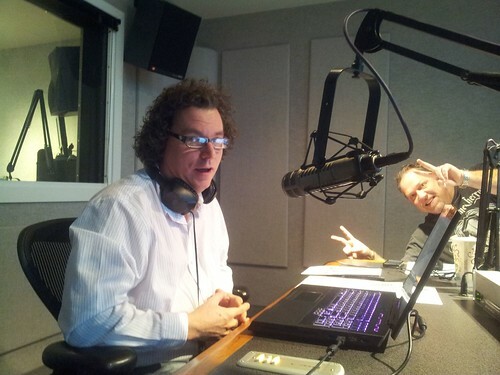 David is no rookie when it comes to radio. He has been part of multiple radio broadcasts over the period of 4 years which is where he was dubbed “The Dr. of Credit”. This will be a show you won’t want to miss as he talks about leasing and financing vehicles. In addition to Hooks, The ANE Show will welcome back Actress/Model and Co-Host of the Drew Pearson Show, Jennifer Reed who will be discussing the interview that Paul Salfen, the coolest guy in Dallas had Dane DeHaan and Lars Ulrich and the film METALLICA THROUGH THE NEVER. 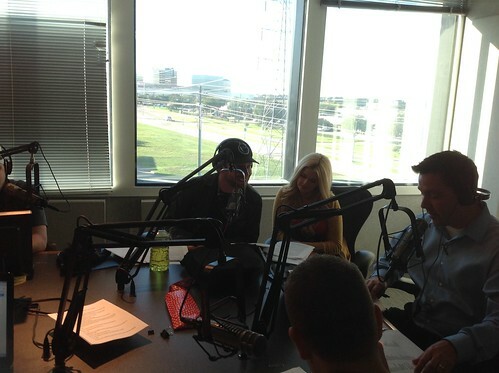 Actress, Model, and Co-Host of The Drew Pearson Show, Jennifer Reed talks about celebrity updates with Josh "Social Media's Guru" Deaton and James "The Spin Doctor" Schaefer both of DeliveryMaxx on The ANE Show. Actress, Model, and Co-Host of The Drew Pearson Show, Jennifer Reed talks about celebrity updates with Josh "Social Media's Guru" Deaton and James "The Spin Doctor" Schaefer both of DeliveryMaxx on The ANE Show., a photo by theaneshow on Flickr. Jennifer Reed guest stars with The ANE Show and playing around in the studio before the interview with Mathew McConaughey! Jennifer Reed guest stars with The ANE Show and playing around in the studio before the interview with Mathew McConaughey!, a photo by theaneshow on Flickr. The Doc tries to control Actress/Model Jennifer Reed, The Gorilla, and the Coolest Guy in Dallas- Paul Salfen during The ANE Show. The Doc tries to control Actress/Model Jennifer Reed, The Gorilla, and the Coolest Guy in Dallas- Paul Salfen during The ANE Show., a photo by theaneshow on Flickr. 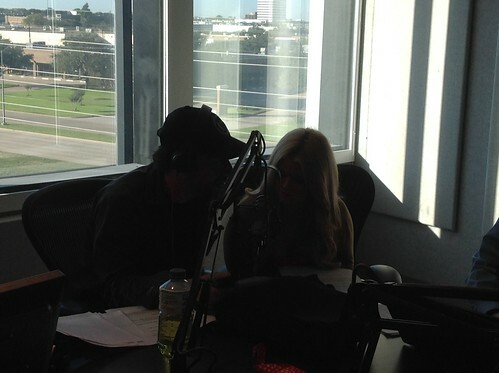 Bubba of Chrysler Jeep Dodge City of McKinney parties with Actress/Model Jennifer Reed during The ANE Show in the Clear Channel Radio Studios! 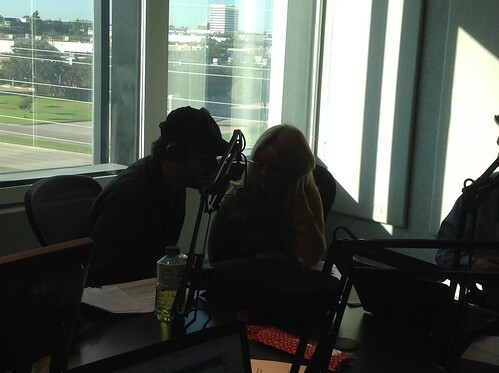 Bubba of Chrysler Jeep Dodge City of McKinney parties with Actress/Model Jennifer Reed during The ANE Show in the Clear Channel Radio Studios!, a photo by theaneshow on Flickr. Paul Salfen, of The ANE Show, interviews Kirk Hammett about the film, "Metallica Through The Never." Legendary lead guitarist Kirk Hammett sits down with The ANE Shows own, Paul Salfen to talk about the film, Metallica Through the Never. He discusses the relationship with the other members of Metallica and his excitement and concerns around making the feature length film and how long he plans to keep on rocking! Paul Salfen, from Dallas' number 1 Automotive News and Entertainment show, The ANE Show, interviews Lars Ulrich from Metallica and actor Dane DeHaan about the film, "Metallica: Through the Never." Lars Ulrich talks about his excitement to cast actor Dane DeHaan (Chronicle) in the bands IMAX Film. The ANE Show, a photo by theaneshow on Flickr. 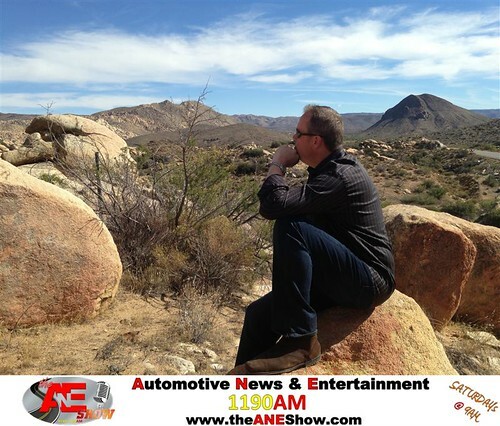 The ANE Show is a fun exciting show which will share much needed advice on purchasing and servicing automotive, today’s news, social media topics, and celebrity interviews. 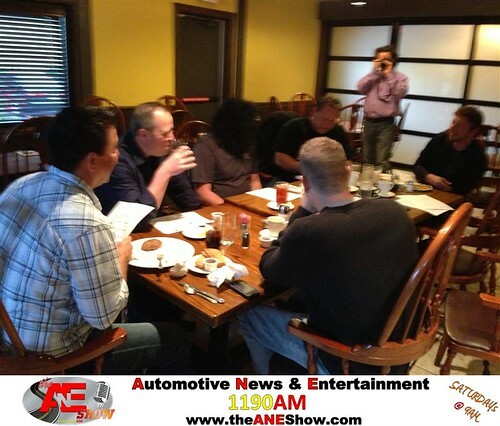 The ANE Show which stands for Automotive News & Entertainment is hosted by longtime General Manager, Jim Proctor of Dodge City of McKinney. 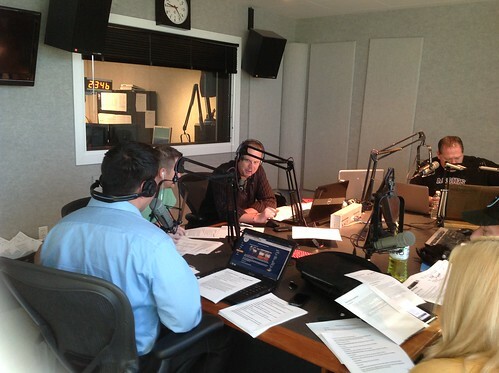 He is joined by a cast of experts to share information and opinions during the show. His Co-Host, Jeff “Bubba” Thompson will be sharing “War Stories” and other helpful information for the consumer’s automotive needs. Watch this video, and check out the show Saturday morning at 9 AM on KFXR 1190 AM to find out how Dodge City of McKinney gained a box full of live ducks!!!! Josh “Social Media’s Guru” Deaton and James “Spin Doctor” Schaefer of DeliveryMaxx will be taking your questions via social media to answer live during the show. If you question gets answered on the air, you will be eligible for a drawing of free Dallas Mavericks or Dallas Stars tickets. 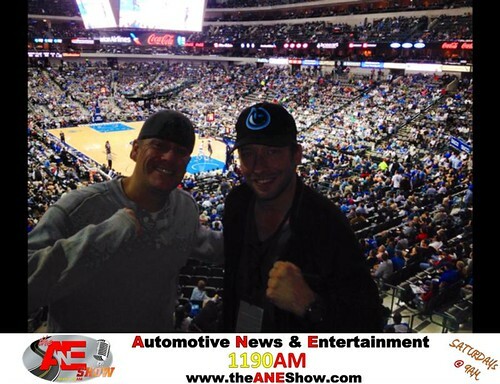 The Dallas Mavericks Basketball Season is starting, and Josh "the Guru" Deaton is hanging out with The Coolest Guy in Dallas, Paul Salfen; both of The ANE Show! 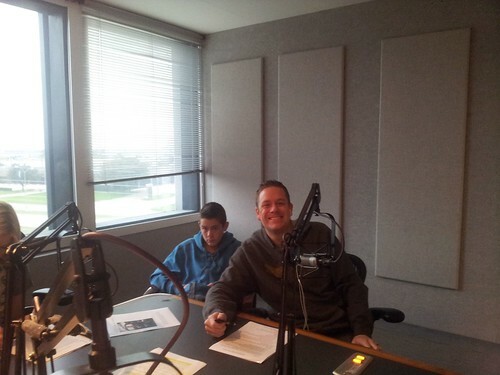 Check out the radio show every Saturday morning at 9 AM on 1190 AM. Jennifer Reed is one of Dallas' premiere top models and Co-Host alongside Paul Salfen on The Drew Pearson Show on FOX Sports. She will be joining the guys November 2nd on the most talked about Radio Show; The ANE Show which is aired live Saturday mornings at 9 AM on KFXR 1190 AM. Ms. Reed will be joining the Coolest Guy in Dallas, Paul Salfen of The ANE Show discussing the Dallas Buyers Club Movie and interview with movie star, Matthew McConaughey who is a native of Texas. 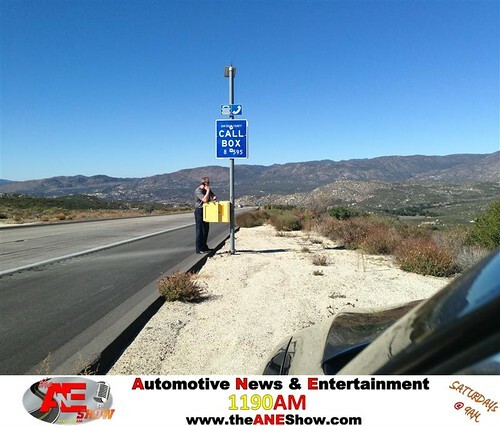 KFXR 1190 AM, has added The ANE Show to its lineup of Saturday morning entertainment and the radio show is touted to be a fun and exciting which will share much needed advice on purchasing and servicing automotive, today’s news, social media topics, and celebrity interviews. 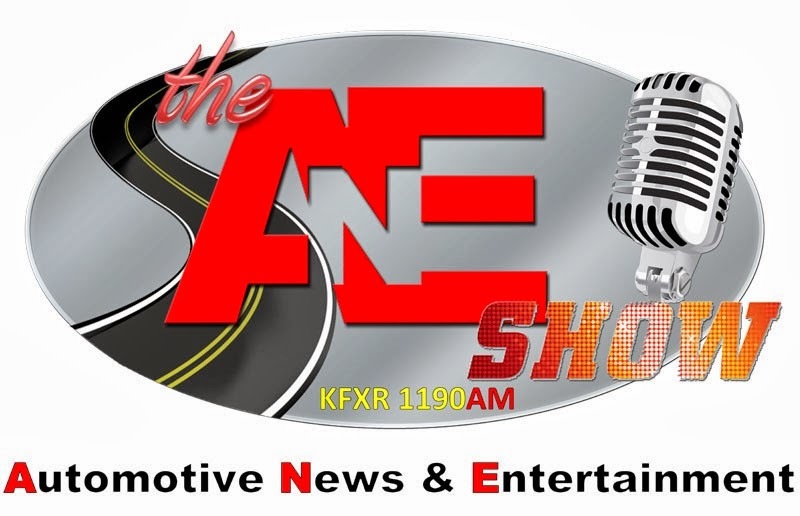 The ANE Show which stands for Automotive News & Entertainment is hosted by longtime General Manager, Jim Proctor of Dodge City of McKinney. 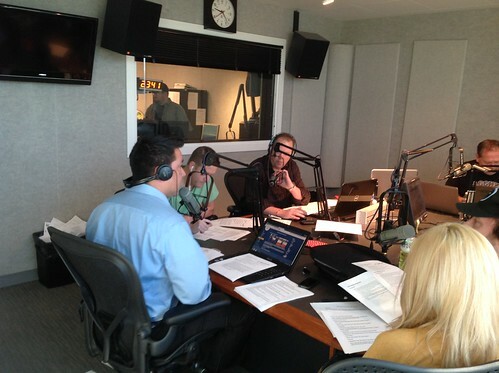 He is joined by a cast of experts to share information and opinions during the show. 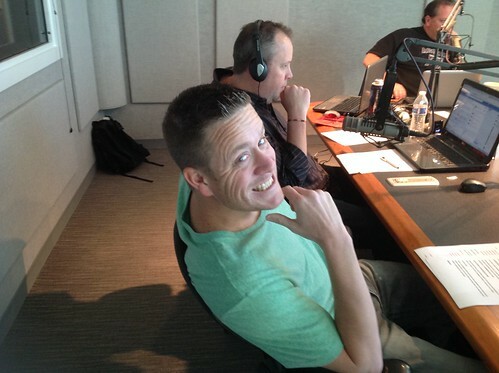 Jeff “Bubba” Thompson, the ANE Show’s Co-Host, also serves as Jim’s right hand man in the dealership. He will share “war stories” and other helpful information for the consumer’s automotive needs. Josh “Social Media’s Guru” Deaton, and James “Spin Doctor” Schaefer , Co-Founders of DeliveryMaxx, are experts when it comes to today’s technology and will provide insight to everything pertaining to social media, internet marketing, online reputation, and digital solutions. Paul Salfen, the coolest guy in Dallas, will add celebrity insight with interviews of the hottest stars in sports, music, and entertainment. 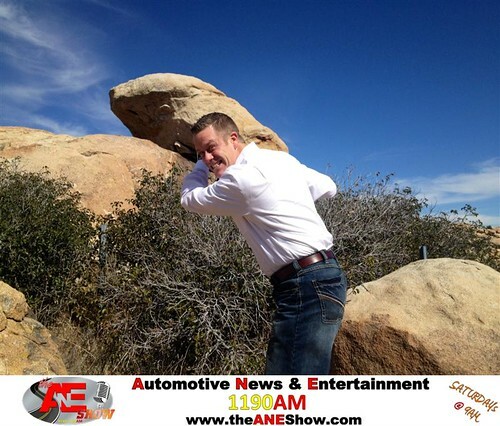 The ANE Show airs at 9 AM Saturday mornings and consists of all four segments including two segments of Automotive, News, and Entertainment with Deaton and Schaefer keeping the show interacting with the listeners through Twitter, Facebook, and other Social Media channels. The ANE Show will be a jammed packed hour of fun, entertainment, and information sure to keep you coming back for more. To participate with The ANE Show cast on Saturday morning and talk with Jennifer Reed personally visit http://theaneshow.com or follow on Twitter @TheANEShow. For the latest in celebrity guest or show topics visit The ANE Show’s Facebook page at https://www.facebook.com/TheANEShow. The legend precedes the gang at The ANE Show. This radio show is the concept of a "Doc", man with a donkey as a pet, "Guru", Gorilla, "Spin Doctor", and the coolest guy in Dallas. The inmates are truly running the asylum. The legend precedes the gang at The ANE Show. This radio show is the concept of a "Doc", man with a donkey as a pet, "Guru", Gorilla, "Spin Doctor", and the coolest guy in Dallas. The inmates are truly running the asylum., a photo by theaneshow on Flickr. 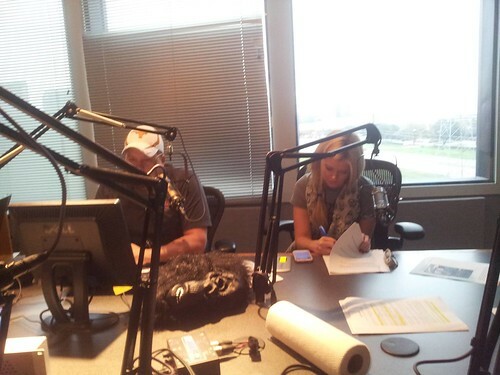 Bubba is hard at work preparing for a great radio show. Check out what he comes up with at 9 AM on 1190AM! This much thought and preparation for The ANE Show should lead to some thoughtful insight that will help all who listen! 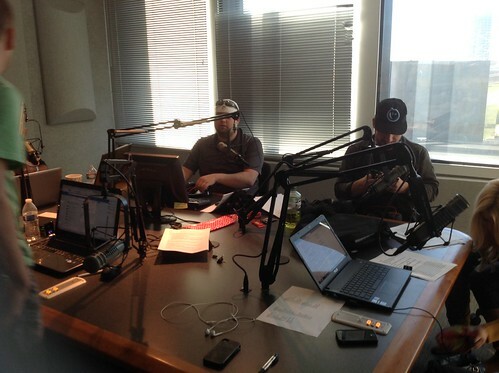 Bubba is hard at work preparing for a great radio show. 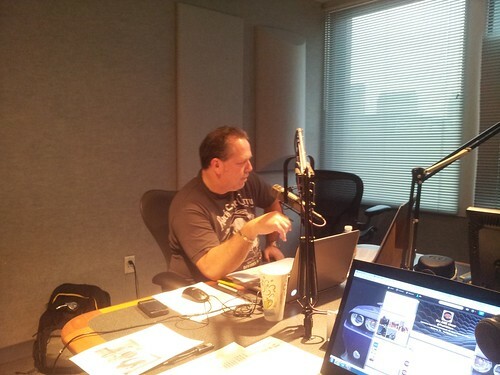 Check out what he comes up with at 9 AM on 1190AM! This much thought and preparation for The ANE Show should lead to some thoughtful insight that will help all who listen!, a photo by theaneshow on Flickr. The cast of The ANE Show spend a little time in preparation at the Original Pancake House. This show will be fun and entertaining..., a photo by theaneshow on Flickr.